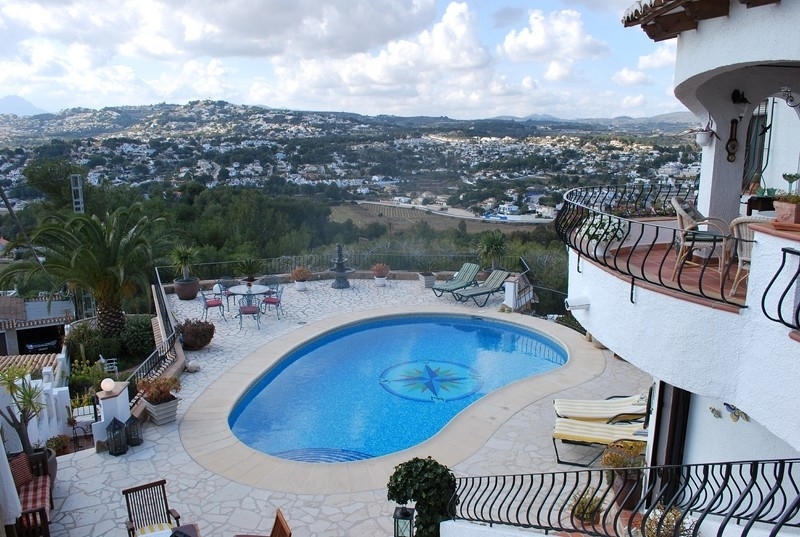 Detached villa with sea and panoramic views. Two apartments, each with 2 bedrooms, 2 bathrooms, living/dining room, 2 kitchens and chimney. Under pool room for gym or another studio. Outside kitchen, bbq, pool with various terraces. Gas central heating. Garage.